Three announced yesterday that it has begun rolling out its 4G network across the UK, but it is unknown where the extra connectivity will be placed. In a press release circulated yesterday morning, the mobile operator said it had started upgrading customers on Monday to the faster data service, if they were already on 4G-ready devices. It also revealed via its Twitter feed that the project had “started small with a few thousand customers” and its newly launched 4G website said Birmingham (inclusive of Dudley, West Bromwich and Wolverhampton), London, Reading and Manchester (including Oldham) were the first three cities to benefit. Three promised that more areas will get 4G in January 2014. “This roll-out will accelerate in January, with all customers with a compatible device able to access 4G at no extra cost by the end of Q1 2014 when they are in an area with 4G coverage,” it said. Three hopes to serve 50 cities by the end of 2014, with the larger target of reaching 98% of the population set for the end of 2015. 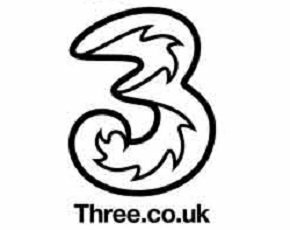 Three is the last of the UK’s mobile networks to begin its 4G roll-out. Both Vodafone and O2 launched in August of this year, while EE was able to go live in 2012 after being granted permission by Ofcom to repurpose its existing spectrum for the faster data service.